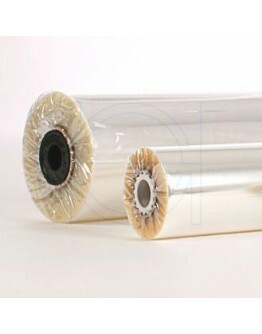 For the packaging of flowers and gifts, these rolls of cellophane film are ideal. This cellophane film is clear transparent, makes a slightly crackling sound and has a high stiffness. Made of Bi-Oriented polyproylene (BOPP). This film has been produced in an environmentally friendly way and is easily recyclable after use. From stock we deliver cellophane per 500 or 1,000 meters on the roll with a width of 50, 60 or 70 cm. The standard thickness for cellophane film is between 25 and 30 microns. Other sizes and thicknesses are available on request. For smooth cellophane processing, preferably use a Hüdig and Rochelz roll holder with knurled blade.